The New York Giants sit at 1-6 on the season following Monday night’s loss to the Atlanta Falcons. They are among the worst teams in the NFL and has been outscored by a combined 47 points through seven games. Immediately after their most-recent loss, the Giants made two separate deals in an attempt to rid themselves of veteran talent while adding future draft capital. It started on Tuesday when the team traded former first-round pick, cornerback Eli Apple, to the New Orleans Saints for two draft picks. Then, on Wednesday morning, New York sent All-Pro defensive tackle Damon Harrison to the Detroit Lions for a mere fifth-round pick. With less than a week to go before the trade deadline, it seems that the last-place Giants are going to be major sellers. Whether that means the team is giving up on the 2018 season remains to be seen. But first-year head coach Pat Shurmur seems to be offended by that narrative. Pat Shurmur: "We traded two players. We're moving on." He talked to the players, didn't get any questions. He thinks the idea they're giving up on the season is disrespectful to locker room. It’s a logical question to ask. Despite his prior struggles, Apple has played well thus far this season. Meanwhile, the 29-year-old Harrison has legitimately been the top run-stuffing defensive tackle in the NFL over the past several years. These definitely weren’t moves that are going to help the Giants throughout the remainder of the season. As noted above, New York is still expected to sell off more of its veteran assets. That reportedly includes former Pro Bowl cornerback Janoris Jenkins, among others. 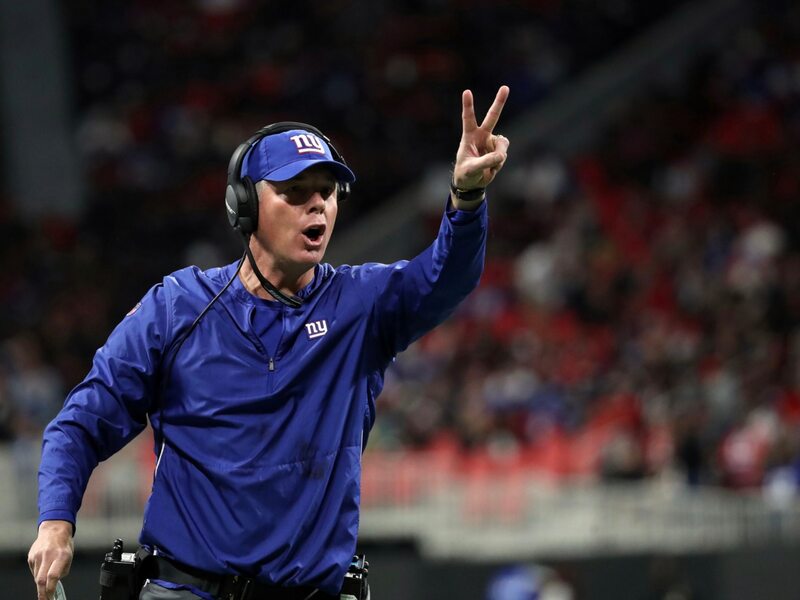 Shurmur might not be happy at the idea that his Giants are giving up on the 2018 season, but it sure seems that way.